Other services available to include Parcel Force Worldwide for larger, higher value and heavier parcels. EXCELLENT= BOX WILL SHOW MORE CREASING OR SLIGHT AGE WEAR/TEAR. POOR= ITEM WILL BE IN NEED OF RESTORATION WITH BROKEN PARTS AND HEAVY PLAY WEAR. SIN RESERVAS. 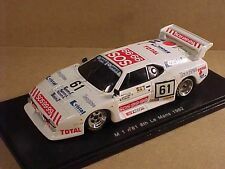 1/43 BMW M 1, 8vo lugar 1882 LeMans, SOS 99.99 - Tasaglass, #61, Ennequin R., Gabriel M. y F. Gasparetti. Type LeMans Cars. 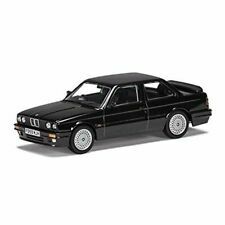 Vehicle Make BMW. UPC Does not apply. Material Resin. Country of Manufacture China. Car like new, scale 1:87. Scale 1/18. Ending Soon. New Arrivals. The RM Toys Team. Kind Regards. Our aim is to ensure no matter what the model, we will provide an excellent service experience. Browse All Categories. GRADING CONDITIONS. 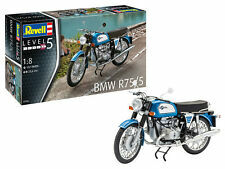 1/18 Scale Diecast Model by UT MODELS. Material Diecast. Scale 1/18. New Arrivals. The RM Toys Team. Kind Regards. Our aim is to ensure no matter what the model, we will provide an excellent service experience. Our aim is to ensure no matter what the model, we will provide an excellent service experience. Ending Soon. New Arrivals. The RM Toys Team. Kind Regards. GRADING CONDITIONS. 1/18 Scale Diecast Model by Paragon. Material Diecast. Scale 1/18. Our aim is to ensure no matter what the model, we will provide an excellent service experience. The RM Toys Team. Kind Regards. MINT - The item is in perfect condition. 1/18 Scale Diecast Model by Paragon. Material Diecast. Scale 1/18. SPARES or REPAIR - The item will be in a poor condition. Add to Favourites. Our aim is to ensure no matter what the model, we will provide an excellent service experience. BMW Motorsport #1 Winners Hans Joachim/Stuck. Scale 1/18. Ending Soon. New Arrivals. The RM Toys Team. Kind Regards. MINT - The item is in perfect condition. Our aim is to ensure no matter what the model, we will provide an excellent service experience. 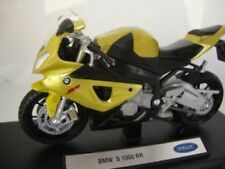 1/18 Scale Diecast Model by Solido. Scale 1/18. FAIR - The item will have heavy signs of wear, showing major imperfections. EXCELLENT - The item will have had very careful use, with only small imperfections. 1/18 Scale Model by BURAGO. Scale 1/18. The Model Is In MINT Condition. The Box Is In EXCELLENT Condition. Our aim is to ensure no matter what the model, we will provide an excellent service experience. 1/18 Scale Resin Model by LS Collectibles. Scale 1/18. The MODEL is in MINT Condition. EXCELLENT - The item will have had very careful use, with only small imperfections. GOOD - The item will have had more use, showing obvious imperfections. 1/18 Scale Diecast Model by Paragon. Material Diecast. Scale 1/18. The MODEL is in the following condition - MINT. The BOX is in the following condition - MINT. Our aim is to ensure no matter what the model, we will provide an excellent service experience. 1/18 Scale Model by PARAGON. Scale 1/18. The Model Is In MINT Condition. The Box Is In MINT Condition. Our aim is to ensure no matter what the model, we will provide an excellent service experience. 1/18 Scale Model by RICKO. FAIR - The item will have heavy signs of wear, showing major imperfections. Ending Soon. New Arrivals. The RM Toys Team. Kind Regards. Our aim is to ensure no matter what the model, we will provide an excellent service experience. Scale 1/18. The MODEL Is In MINT Condition. The BOX Is In MINT Condition. Our aim is to ensure no matter what the model, we will provide an excellent service experience. The RM Toys Team. Kind Regards.